ATS International, a division of Anderson Trucking Services (ATS) last week announced a strategic partnership with TOTE Maritime Puerto Rico in offering ‘game changing equipment innovation’ for shipping non-containerized cargo. 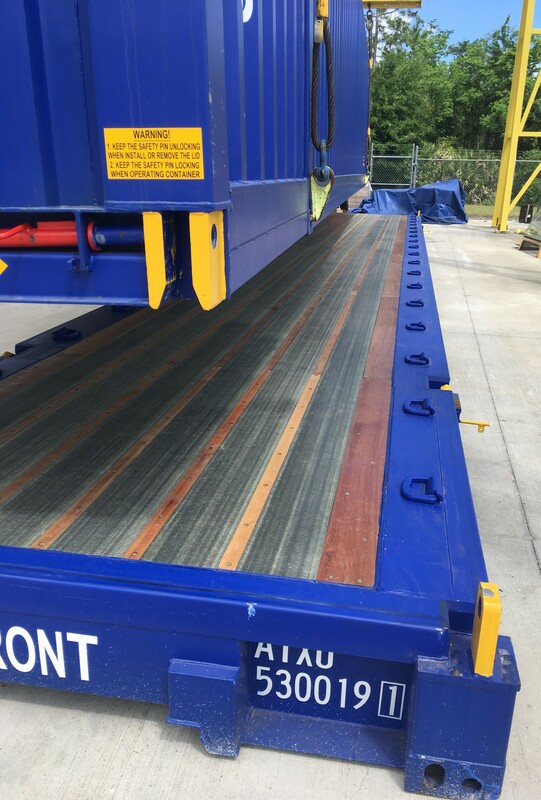 CakeBoxx Technologies is proud to be the supplier of the innovative equipment being used in this forward-looking partnership between TOTE Maritime and ATS-I: the new CakeBoxx Technologies 53’ WTP BreakBulkBoxx™ container and the 53’ WTP CakeBoxx Flat Rack. This equipment allows traditionally non-containerized cargo to be accommodated in a Lift-On/Lift-Off (Lo/Lo) container environment. 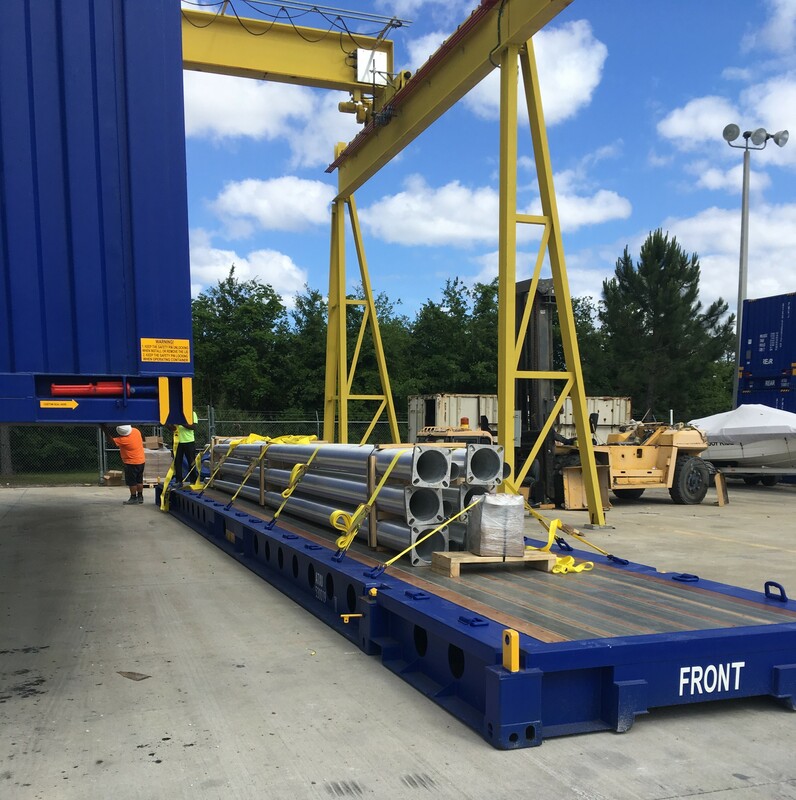 Using the two innovative products will give non-containerized shippers and consignees in the U.S. and Puerto Rico a never-before available 3-day transit option designed for in-gauge break bulk cargo. In addition to the faster transit times, companies that primarily ship side loading freight will also reap the benefits of increased security with CakeBoxx Technologies’ high-security two-piece ‘deck and lid’ design as well as the convenience of TOTE Maritime Puerto Rico’s Lo/Lo services. These new 53’ WTP products are the result of an ongoing development program between ATS-I and CakeBoxx Technologies. They will be available exclusively through ATS International and TOTE Maritime with this new strategic partnership. “We are excited and proud to have these units and service capabilities available to aid in the recovery and rebuilding of Puerto Rico when needed the most. With more than four decades of experience in the U.S./Puerto Rico shipping lane, TOTE Maritime was a natural partner for us to introduce this exclusive Lift-on/Lift-off technology,” said ATS COO Brent Anderson. CakeBoxx Technologies first partnered with ATS International in 2016, launching the BreakBulkBoxx™ 53’. The disruptive product has been capturing significant industry attention for both companies since its inception. In addition to sea and road transport, this container was also approved by the Association of American Railroads for use on rail networks throughout the United States. CakeBoxx Technologies will be joining Anderson Trucking Services at the Bremenports stand of the Breakbulk Europe exhibition which takes place from 29 – 31 May in Bremen, Germany. CakeBoxx Technologies designs, builds and sells innovative 'two-piece' cargo shipping containers to the global cargo transportation and specialty manufacturing markets. CakeBoxx containers with their deck and lid design, are the first innovation in the industry to offer truly safe, secure and efficient containerized transport for the top-loaded, side-loaded, break bulk and general project cargo markets. Advantages of CakeBoxx containers include increased operational efficiency, reduced risk of cargo theft, and lower operating costs. Using CakeBoxx containers saves money. CakeBoxx Technologies offers these products in a range of sizes and specifications to meet individual customer needs.